June 2016 Release Blog Hop! Welcome! If you arrived here from Tonya's blog, you are in the right place. If not, we are in the middle of a blog hop to celebrate the release of 14 new beach-themed stamps from Technique Junkies! I urge you to start at the beginning on the TJ Design Team blog: techniquejunkies.blogspot.com. To celebrate the release, in addition to the blog hop, we are offering 15% off the June release stamps from today through June 8, 2016. The discount will show up automatically at checkout on all stamps from the June Release category. For this next piece, I used the Batik Shell Swirls background stamp with two of the By the Sea (set of 6) stamps that were layered together. Have fun on the rest of the hop! We all make mistakes, right? I made a whopper last weekend when I sent an incorrect wmail announcing the May release. Since the orignal email stated that the March release stamps were 15% off, and I INTENDED for the May stamps to be 15% off, I threw caution to the wind and discounted both months. My error is your gain! 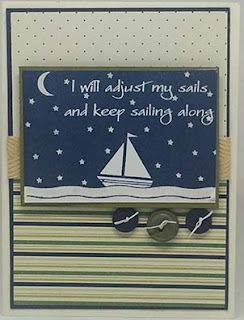 Make sure you keep checking the Design Team Blog this week to see how the May stamps are used by our designers, too. and I will bring and hold it for you. No need to pay me before the show (this will allow you to shop in the booth, too). Just let me know which show and which day you are attending. I will hold your items until 2:30 pm the day you are scheduled to come in. The Original MISTIs are back in stock again! Click HERE for details on joining this class! Come shop, play and make some art - we would love to meet you! Did you ever sit down to create something that evolved into something else altogether? That's what happened to me this week. I started with a flat piece of paper and ended up with 3 mini canvases. I love these little canvases.I think they are wonderful on window sills,and in all kinds of little spaces. I plan on giving one of each of these to 3 specials moms I know. I hope they like them! One more thing...it's time for Spring Cleaning. As I add new images each week, I am running out of space! I have added hundreds of stamps to the Spring Cleaning Clearance section. They are all unmounted, unpackaged stamps, and most of them have never been on the Technique Junkies site. They range from $.50 to $6.50. so this is a good time to check out all three areas on the site and save on shipping costs when things are purchased together. Each of the canvases uses a different main image, but each also uses a few common tools. Each uses StazOn, Gel Medium (for adhering the paper to the canvases), markers, and each one features Art Anthology's Velvet Dimensional Medium in Persimmon and Mayan Gold. For the first canvas, the Fairest of them All stamp (May release) was stamped twice in StazOn; first on a shimmering white cardstock, then on a brushed silver piece. The center of the mirror was cut out of the brushed silver, and pasted over the oval in the white cardstock mirror. The image was colored with permanent markers. Then the canvas was painted with the Persimmon Velvet Dimensional medium. To finish the canvas, the cardstock was cut down to size and adhered to the canvas using plain Gel Medium (painted on the back of the paper, then over the top and around the edges. When the paper was drried onto the piece, I brushed the Mayan Gold Dimensional Medium over edges of the paper piece. For the second canvas, I stamped one of the Whimsical Crowns onto pink cardstock, and painted it with the persimmon and Mayan Gold paints. Note that I painted outside of the stamped lines so that when the piece was cut out, every area was painted (trust me, cutting out those little stars on the crown was NOT for the faint of heart!). To add some interest to the canvas, I inked the Vintage Music stamp with StazOn and pressed the canvas into the stamp. 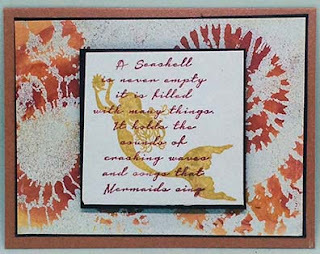 One the image was stamped, the edges were painted with Persimmon and the top painted with Mayan Gold. Note that I started to paint persimmon on the canvas, then decided to add stars with the Twilight Stencil using Persimmon and a stencil brush. After removing the stencil and allowing the paint to dry, I outlined some of the stars with a black marker. To attach the cut-out crown, I used pop-dots to add height. I popped the image to set it off from the base; before it was popped, the crown was lost on the canvas. For the final canvas, the Dogwood Branch was stamped onto whte cardstock and painted with the Persimmon and Mayan Gold paint. The canvas edges were painted with Persimmon and the center with Mayan Gold. The Dogwood was then cut out, then covered on the back with Gel Medium, then adhered to the prepared canvas. Once adhered, the word Beautiful (from the Beautiful Faces Set) was adhered with Gel Medium to finish the canvas.